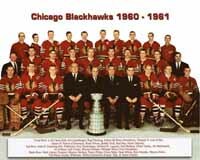 60-61 Blackhawks Stanley Cup Team Photo -- Not licensed by the NHL, etc. Jonathan Toews -- Not licensed by the NHL, etc. CNA Building -- Not licensed by the NHL, etc. CNA Building Special Order Photo. -- Not licensed by the NHL, etc. Lets Go Cup -- Not licensed by the NHL, etc. 2010 Champs -- Not licensed by the NHL, etc.